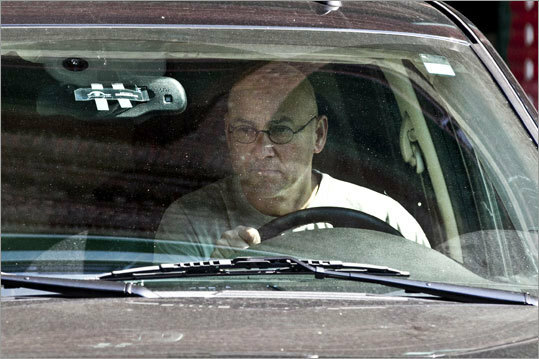 (Aram Boghosian/For The Boston Globe) Terry Francona left Fenway Park after a morning meeting with team ownership and general manager Theo Epstein. The Red Sox and manager Terry Francona are parting ways, the team has announced. The team released a statement from owners John Henry, Tom Werner and Larry Lucchino. We met with Terry Francona, Theo Epstein and Ben Cherington Friday morning to discuss the 2011 season, ways to improve the club in the future, and Titos status. During the meeting, Tito, Theo and Ben agreed that the Red Sox would benefit from an improved clubhouse culture and higher standards in several areas. Tito said that after eight years here he was frustrated by his difficulty making an impact with the players, that a different voice was needed, and that it was time for him to move on. After taking time to reflect on Titos sentiments, we agreed that it was best for the Red Sox not to exercise the option years on his contract. There were reports throughout the day the move was imminent. On Wednesday, the Red Sox completed baseball's biggest collapse ever and were eliminated from postseason contention on the final day of the season. But Friday was filled with speculation and reports. Francona attended a morning meeting at Fenway Park, then left Fenway Park only to return in the afternoon twice more. A statement from Francona was included in the Red Sox press release. "After many conversations and much consideration, I ultimately felt that, out of respect to this team, it was time for me to move on. Ive always maintained that it is not only the right, but the obligation, of ownership to have the right person doing this job. I told them that out of my enormous respect for this organization and the people in it, they may need to find a different voice to lead the team. Francona managed the Red Sox from 2004 to 2011, and won World Series titles in 2004 and 2007. The Red Sox missed the playoffs the last two seasons and were swept out of the playoffs in 2009 by the Angels. Francona managed 1,296 games for the Red Sox and had a record of 744-552. He also managed the Phillies for four years and was 285-363 in Philadelphia. Epstein was careful to say yesterday that he did not blame Francona for the Red Sox September collapse. The Red Sox had a nine-game lead in the wild card standings, but went 7-20 in September and failed to make the playoffs. During the team's September collapse, Francona said several times that he had no communication with Henry. Francona was not fired. His contract has expired, and he had two one-year, $4.5 million options. The team elect not to pick up those options. The Red Sox, given their status in baseball, would not lack for candidates. Bench coach DeMarlo Hale would be the only internal possibility. Francona would be considered by the Chicago White Sox, who are seeking a new manager in the wake of Ozzie Guillen going to the Marlins. Francona's calm approach would be seen as a tonic on Chicago following the tumult that often surrounded Guillen. He is a former minor league manager in the White Sox organization and has the respect of owner Jerry Reinsdorf. Names the Red Sox might consider for a replacement could include Trey Hillman of the Dodgers or Tony Pena of the Yankees. Yankees third base coach Rob Thompson is highly regarded for his intelligence. Dave Martinez (Rays) and Pete Mackanin (Phillies) fit that mold, too. Former Yankees manager Joe Torre is not likely to leave a cushy job with MLB. Lou Piniella? Bobby Valentine? They might be interested, but would they subject themselves to being dictated to from the front office?